The latest news in privacy law is derived from what has become a unique, if not quirky gift. A do-it-yourself at home genetic testing kit that allows you to “get to know you”, your health and your ancestry. Several businesses currently offer the service - a personalized test kit providing information and tools for individuals to learn about and explore their DNA. After completing the kit and sending it back to the company’s labs with a saliva sample, you can view reports on over 100 health conditions and traits, discover inherited risk factors and how you might respond to certain types of medications. 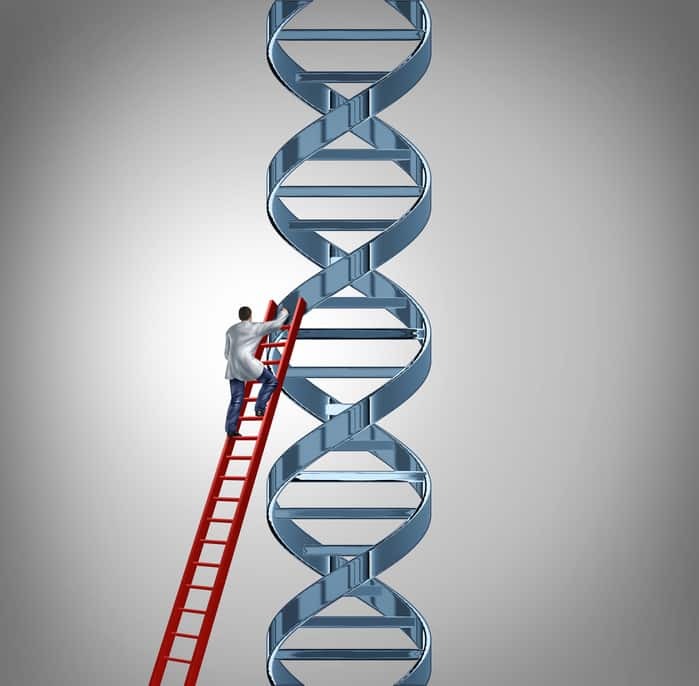 Through it you can learn all about your genetic heritage and any potential diseases or medical conditions for which you might be at higher risk such as cancer and heart disease. This is a lot of information, and probably more than you would ever want to share with your boss. A Bill currently before the Canadian Senate aims to protect Canadians against the risk they may expose themselves to by taking a genetic test: being forced to disclose the results to employers, insurers and other interested parties. Bill S-201, named “An Act to Prohibit and Prevent Genetic Discrimination” (the “Genetic Non-Discrimination Act”) is sponsored by Senator James S. Cowan and seeks to legislate an explicit right to keep the results of a genetic test from others such as insurers or employers. On March 31, 2015 the Committee Report passed for consideration before the Senate Chamber. The bill in its original form would amend the Canadian Human Rights Act and the Canada Labour Code. Section 2 of the Canadian Human Rights Act would be amended so as to add “genetic characteristics” as a basis for a discriminatory practice. The amendments to the Canada Labour Code would only apply to businesses that are within the legislative authority of Parliament. Employees would be permitted to abstain from undergoing or sharing the results of a genetic test. Employers would be prohibited from taking any action resembling dismissal or punishment based on an employee’s refusal to undergo or share the results of a genetic test; or based on the results of a genetic test. A third party would also be prohibited from disclosing to an employer that a test was taken or the results of said test without written permission of the individual who was tested. The Senate’s Standing Senate Committee on Human Rights report removed most of the elements of the law. Now the bill would only amend the Canada Labour Code. Canada has been considered to be more protective of individual privacy rights than its American neighbors. That’s why it may come as a surprise that Canada has no legislation expressly protecting people from being required to disclose genetic test results to employers and insurance companies while other countries including the U.S., U.K. and Japan do. Senator Cowan said “Canada is one of the only countries in the western world that doesn’t have laws to protect the integrity of your genes”. One wonders whether new legislation is really needed to prevent genetic discrimination in the workplace. Provincial and federal privacy legislation prevents employers from accessing the medical information of their employees without their consent. The Personal Information Protection and Electronic Documents Act applies to employee information in federal works, undertakings, and businesses. The Quebec Act respecting the Protection of Personal Information in the Private Sector also in theory prevents an employer from requiring disclosure of genetic testing. A job candidate must give their consent for the collection and use of their personal information. Moreover, only that personal information that is required for the employer to do their job can be requested and collected. The onus is on the employer to demonstrate the necessity of such information. On this basis alone, an employee could refuse to share those test results. Employees with disabilities are already protected from discrimination, though it is not clear how broadly this protection extends. The courts may find that a genetic predisposition to a certain medical condition is indeed a “handicap” within the definition of the Quebec Charter of Human Rights and Freedoms. The Supreme Court of Canada has determined that “handicap” should be interpreted broadly, and does not require the presence of functional limitations at the time of the discriminatory action. In determining whether there is a “handicap” the emphasis should be on “the effects of the distinction, exclusion or preference rather than the precise cause or origin of the handicap”. The employee, or prospective employee’s right to keep his medical information private is also protected by section 1, 4, and 5 of the Charter which includes the right to dignity and respect for an individual’s private life. The consultation and use of an employee’s personal information, especially any medical information, are subject to the anti-discrimination provisions in the Charter and may result in claims of discrimination. In our times, privacy is becoming a matter of increased concern not only because the ease with which our personal information can be disseminated, but because of the ever expanding notion of personal information. Scientists only completed mapping the human genome in 2003, giving use the blueprint of a human being. As Senator Linda Frum stated during the Senate debate, “The insight now available to us into medical conditions and potential medical conditions is staggering. This has opened new and hopeful horizons in medicine, but has also raised a host of moral, ethical and legal questions about the uses to which all of this new information is to be put.” Employers should remain wary as to the information they request from employees or job candidates, and take seriously the requirement to only request that information which is absolutely necessary to make a decision about a candidate. Employers should remember that they have the burden of justifying their information requests. As employers will have more and more information to be able to collect about candidates, their risk of violating the privacy rights of individuals and the incurring civil responsibility also increases.